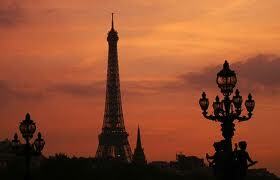 Greece Library Teen Blog: Paris, Paris, and more Paris! I guess I have Paris Fever on my brain. 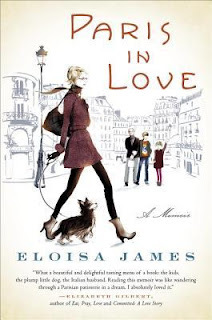 I am currently reading Paris In Love, by Eloisa James, have Paris My Sweet on my Kindle, and have Paris in Color on hold at the library. In 2009, New York Times bestselling author, Eloisa James, took a one year sabbatical from her job as a Professor of Shakespeare at Fordham University in New York, and moved her family to Paris for one year. You can just picture in your mind her husband, Alessandro, son Luca (15) and daughter Anna, (10). I am laughing out loud at some stories, and feeling quite inspired by others. Eloisa kept a blog about her year in Paris, so the book is a summation of these posts - some quite brief. I only wish there had been photos to accompany the text! 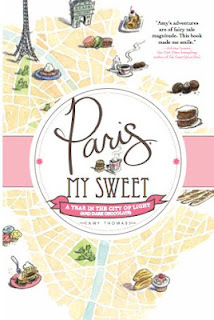 Paris My Sweet A Year in the City of Light (and dark chocolate) by Amy Thomas is also a memoir. But does falling in love with one city mean turning your back on another? As much as Amy adored Paris, there was part of her that felt like a humble chocolate chip cookie in a sea of pristine macaroons. PARIS, MY SWEET explores how the search for happiness can be as fleeting as a salted caramel souffle's rise, as intensely satisfying as molten chocolate cake, and about how the life you're meant to live doesn't always taste like the one you envisioned. 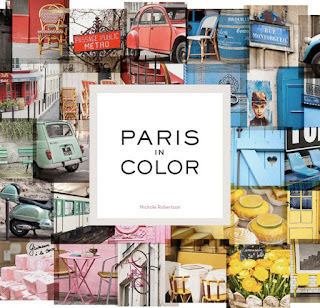 Paris in Color by Nichole Robertson is yet another type of memoir, done in photography. In January 2009, Nichole and her family sold or donated most of their possessions and moved to Paris. Long walks rekindled her interest in photography and fostered a love of the city's intimate details. Her work focuses on the contrast between Paris' vibrant colors and neutral facades. 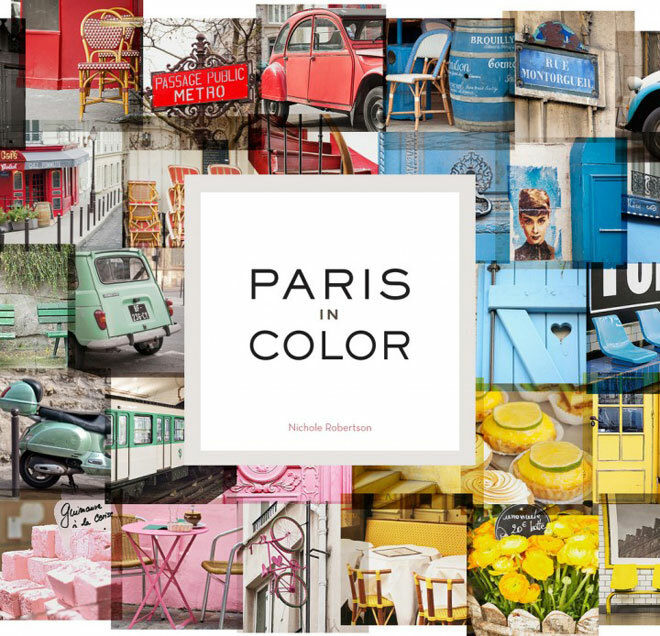 Sharing her favorite photos on her blog, Little Brown Pen, blossomed into a three-year photo project later dubbed The Paris Color Project. Instead of focusing on the familiar tourist attractions of Paris, Nichole's photographs take us on a journey through the world's most romantic city, traveling from color to color through objects both ordinary, and intriguing.